I graduated from SUNY at Buffalo in 1967 majoring in Business Education. After graduation, I began teaching at Rival KENMORE EAST High School from 1967-1969. We moved to Rochester, NY in the summer of 1969, and I continued my teaching career at East Rochester High School until the winter of 1970 when my son, Michael was born. My daughter, Lori was born in 1973. In 1977, I remarried and moved to North Brunswick, New Jersey with my husband, Brian. I returned to full-time High School teaching in 1980 in Piscataway, New Jersey, and retired from there in June, 2007. I am enjoying retirement with my husband in our new home in Monroe Township,in a gated adult community. We are enjoying our 4 children and 7 grandchildren. Life is GREAT!! Sharon Richter Taxman has a birthday today. Sharon Richter Taxman updated profile. View. Sharon Richter Taxman posted a message. New comment added. Sharon Richter Taxman added a comment on Marlene Frieder Merzacco's Photo. New comment added. Sharon Richter Taxman added a comment on Garth Potts Potts' Profile. Sharon Richter Taxman posted a message. Hi Ellen! How are you? Can't believe it is almost 50 years since we last saw each other. I have been living in NJ for the past 36 years after living in Rochester. I have a 43 year old son and 41 year old daughter who live nearby with my 5 grandchildren. I taught high school business and computer courses for 30 years, and retired 7 years ago. Brian and I just moved to a new home in an adult community, and we are loving retirement. Are you in touch with anyone from our class? I decided not to go to the reunion, as I see you have as well. Hi Sheila!!! How have you been? So glad to see your name posted! Hard to believe it has been 50 years! 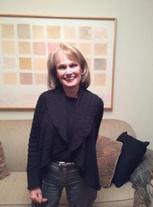 Sharon Richter Taxman changed profile picture.